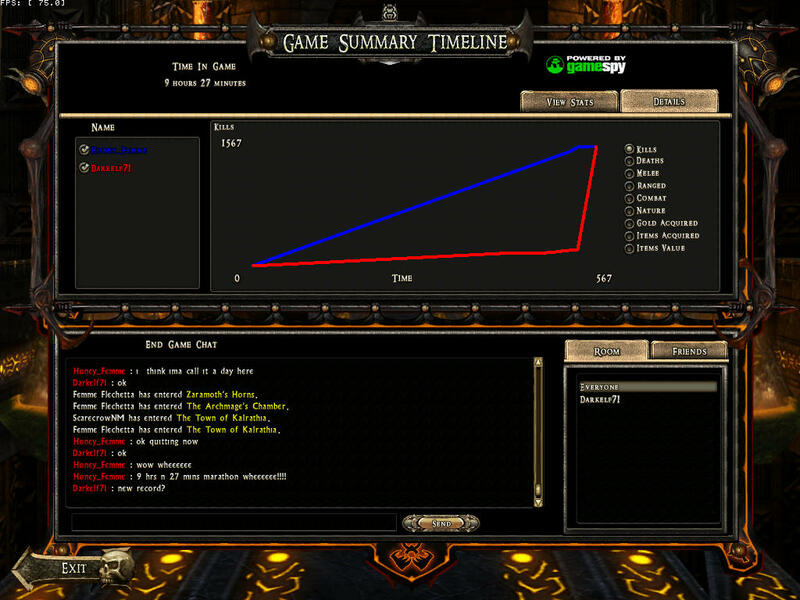 Which version of Dungeon Siege do you play most often? However my favorite is a DSLoA Siegelet called Legends of Utrae 3.2 with the DS1 version of Cat Mansion Adepts. Could be that I spent years helping to make it, maintaining it when most of the DS sites went off line. I also have my personal version of both mods and I would bet iryan and the others that made the mods would only notice the landscape. I guess it is my favorite because I learned to make armor and weapons because of it. I like DS1 Cat Mansion Adepts and Legends of Utrae. This is an amazing game that I still use to compare my experiences with newer games to. Sometimes I'll find myself saying something like "Oh this almost like playing a modern Dungeon Siege" But I don't think there is yet as seamless a multiplayer adventure as DS. The adventures that followed were an evolution, but original DS really changed what I expected from a game. It being the first game that I really modded and the community that continues on from its legacy remains a highpoint. I don't recall anything since that made me feel that way. I've just ported the old favourite onto my new Windows 7 computer (a forced change - the hard drive on my XP one died) and thought this makes the perfect excuse to sign up and say hello. My copy is the DS1/DS1-LoA set. I've got the LoA running but the original DS1 is what I'm currently playing. So far I've had none of the occasional crashes I was used to on XP with my NVidia graphics driver. DS2 I've never played - I have a copy waiting, but I'm still learning things about DS1, and want to try more of the siegelets. Which can be found here in the downloads section at the following link. Also people here have been converting some of the maps from DS1 and DSLoA over to DS2 you can find the forums by following these links. hmm. I tend to either play DS1 LOA Revived or DS2:BW, whichever strikes my mood at the time (that I have working on the current machine). I spoke too soon. Since my last post I've had three of the familiar "protection exception" crashes. (One of them started with opening a mule's inventory to find it mysteriously emptied, then after reloading from the last save the world ahead wasn't there any more.) At least my new faster system takes far less time to close the program. Lady Femme, its not my computer crashing, nor even Windows, just the game with a software bug. If "protection exception" means the same on Windows as it did on the old mainframes on which I was once a programmer, then the way to get one is to mess up memory management in some way. Do something to the 200th entry in a table set up for only 100 entries. Build a 200-characters-long command sequence into a "buffer" 100 characters long. Whatever legitimately occupies the location you overwrite will be "corrupted", and if it happens to be the memory address for where to go for something else.. "Protection exception" is when the end result is DS straying "out of bounds" into memory space reserved by or for Windows itself. The only possible fix would be a new patch from GPG! which we know isn't going to happen. On my old system, but not on my new one, I then had a wait of a minute or two while Windows "collected exception data" to be sent - or not, as one chose - to Microsoft over the internet. If you never had this happen to you, lucky you. neither does darkelf have problems running the game for a prolonged period. with XP dungeon siege ran flawlessly, sadly XP is not being supported by Microsoft in 2014, but it was diffinately the best system to run any of the DS series of games on. Win7 especially 64bit, Dungeon Siege seems to have issues, however it not generally protection exception, it's more installation issues as ds don't like the new program files folder of win7, so have to install into another location... Protection Exception could be caused by the cd reading the files wrong (scratch on cd? ), the ram being faulty stick, or even the video driver considering NVidia has made some bad drivers lately that can destroy fans on video cards. if not up to date, or even lack of mobo drivers, most likely hardware and driver issues are causing it. It's a shame your having so much bad luck with this great game, but there have been many people here who have played Dungeon Siege with no issues. "Collecting Exception Data" message generated by the game after it crashes generally means corruption of some of the resources and was a common problem with DS1 and DSLOA when using mods. As a mod maker you would often see that a lot during mod development. That's one of the reasons that DS2 uses a new system of saving games. DS1 and DSLOA use to save the absolute position of the party on the map together with all of the associated map data, etc, which is why the save files could be very large sometimes. This would allow the player to resume play on the same exact position they saved at with everything exactly the way they left it but could cause an exception detected message (use to see those a lot during development of Legends of Utrea) upon trying to load the game if there was the slightest problem with anything. DS2 is a lot more robust but you can only resume games from certain spots (mostly towns). You can still get "Exception Detected" in DS2 but generally only in trying to load a map with a problem mod or something corrupted entering the frustrum during play (seen both problems during development of DS2BW Adepts). The first question is are you using any mods? Does the problem happen randomly or does it tend to occur in a certain area? You mentioned one case of opening a mule's inventory and finding it empty and then trying to reload only to get a crash - you're not using a mod that increases inventory capacity by chance? DS (all versions) has a hard coded limit of 255 items allowed in the inventory. If you're using mods the first thing I would try is to play without them. If the problem still occurs perhaps you have a corrupted install and re-installing may help. Memory management isn't very good with DS games, even with DS2. I only play the original DS1 maps in DS2 now with the help of the DS1MapPack mod and while exception errors don't occur (as far as I know and none have ever been reported to me), the disappearing world bug does pop up now and again. It's actually still there but the game doesn't render it so you can see anything - the party can still move in it, though you can't see them, and monsters obviously exist as you can hear them and the party can fight them. Reloading the game is the only solution. to take a minor point first, I mean to play DS2 one day but what you wrote about only being able to resume games from certain spots worries me. I like to play for an hour or two then go do something else. Also, I like playing slowly. I'm currently playing DS1 Ehb again (hard difficulty) just coming up to the Droog village, but also coming up towards 100 hours in-game. I was at Fortress Kroth (and my last vendor) 4 days ago in real life, so having to play straight through from one to the other before being allowed to save, exit and resume later would be a big problem. Darkness is a blanket that hides my evil ways. Dorchadas Tá blaincéad go seithí mo bealaí olc. Saving in DS2 is not as bad as you picture it, it is just different. I did not like it at first, but since any quests you complete before you save remain completed it is just a bit of retracing your steps. In both DS2 and Broken World there are dozens of teleport locations. So you can end your game at a teleporter that you have activated and then when you restart you just go to the teleport station in town and pick the place on the list you where last at and zip you are back where you where. Even if you do not reach a teleporter when it is time to put the game to bed you can pick the last teleporter you where at and start there. The Converted DS1 maps have save points they differ a bit from map to map but again with a really good teleport system starting in town is not really a bad thing. I think anyone that has modded the game or played the game has from time to time had the game tell them "collecting exception data" and then closing. It has happened to me while modding when I forget the correct format of a template or exceed the hard coded limits of the game. To resolve why you keep getting this problem I would suggest that you verify the you have all the patches for the game which you can still download from the official site. If you have the patches installed I would next remove all the mods you have installed, with DSLoA remember to also uninstall the mods in your ds1 resources folder because LoA reads and uses all that is in the DS1 resources folder along with the mods in your DSLoA and Maps folder. Some mods include a dsmap file and a dsres file so be careful to remove both. Inventory mods a notorious for causing exception data crashes because they often exceed the hard coded limit of 255 inventory items. That is not for just one character that is for the entire party! Also it can be caused by two or more mods that modify the same thing, so look at the read-me files for conflicts too. If the game still gets exceptions when you have all the mods removed and you have verified you are patched to the most current level. Do the following. 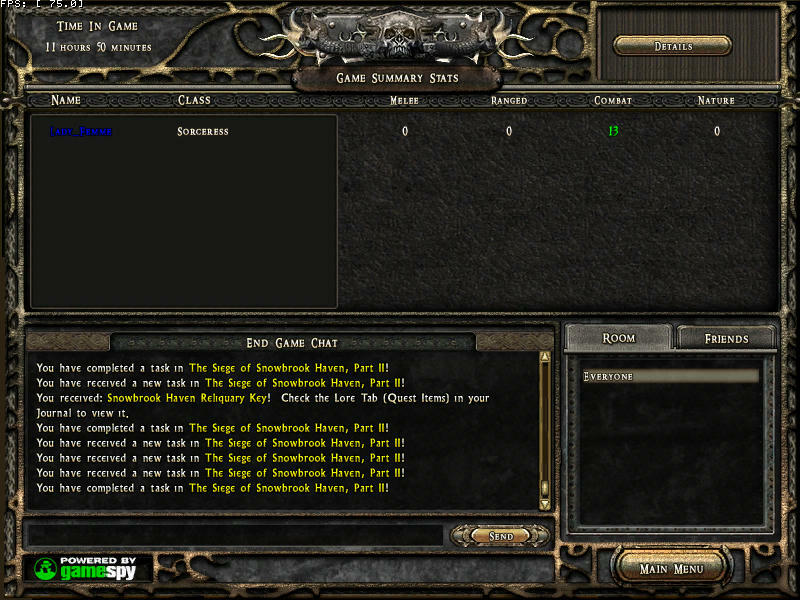 Move all your mods out of the Dungeon Siege one directory to a safe location. then uninstall DS1. Then go into program files and totally delete the DS1 directory and all its sub folders. Then reinstall the patches and try again. If things work reinstall the mods you are using ONE AT A TIME and verify that the game works. i strongly believe the crashes are caused by exceeding the 255 item limit thru the use of an inv mod. only by exceeding such a limit would cause such behaviour for the game to write to memory outside of its allocated range thus causing data corruption and crashes/instability. Thanks people. I've not had any more crashes since mentioning them. If exceeding 255 items crashes the game then that was not my problem because I could resume from the last save (usually QuickSave) and play past where I'd had the problem, picking up more loot. If exceeding 255 creates a small chance of a random crash sometime down the line, then could be. Especially if spells shoved inside spellbooks (until I get somewhere I can sell them) still count towards the limit in their own right. 255 items max for the entire party I find hard to believe, when without mods 8 characters (none of them mules) have room for 416 one-cell items (potions and loose spells) between them, plus up to 104 items equipped. My only mod now active is BufUI (v2.00). I've used Zhixalom's Inventory on one downloaded map for the extra gold (a shop-keeper refusing to sell his best items because they are "priceless" is not acceptable) but deliberately didn't use the extra space. I did have NVidia on my old system and did have some Microsoft automatic responses to some of my exceptions suggesting they were the video driver's fault. The new system has a Radeon card. Here's an interesting point. I had to buy my new system because my old one's disk died, while I had a run-through of Ehb on the go. To pick up that game again I had a CD to which I'd copied MyDocuments (etc) as personal backup (some way back from where I'd got to) and my game CDs (the DS1/LoA 3-CD set), plus other CDs with archive copies of everything I'd downloaded. On my new system I installed DS1/LoA (out of habit NOT into the regular Program Files directory structure), ran the Video Config, then started DS1 from desktop icon letting it create the User runtime folders where it wanted. At this point I could start a new game but had no saved ones. 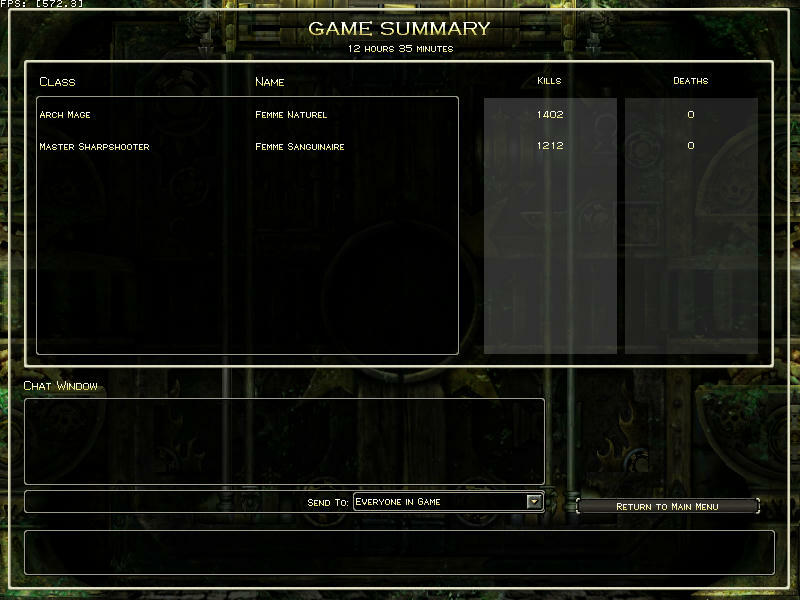 I then copied the files from the Save directory on my "backup" CD into my new /Dungeon Siege/Save directory, but none would load. (Continue reported that there were none that could be continued, and if I tried to select and Load any of the saved games I got an Exception crash.) What I had to do was delete the already-newly-created prefs.gas file and bring back the one from my "backup". I made a stupid remark: even if spells inside books do count, I have never had anything like 255 items carried by one person or one mule. You people know your stuff, but 255 items max for the whole party sounds like such an extraordinarily bad decision for the game developers to have made that I'm curious as to what counts and what does not count against that limit. Example: I arrived at Verma's in the swamp with 6 people and 2 mules having 247 items between them, plus 69 spells inside spellbooks (over half the spells in extra books I'd bought just to store unwanted spells in until I could sell them). There were 106 units of empty carrying capacity (out of 624) so if the party hadn't gone back to the travellers' shopkeepers after clearing out the bandit camps and strongholds then they'd have been carrying more stuff. This may seem a silly question, but suppose that on arriving in front of Castle Ehb, I disband a mule to make room for Lord Bolingar, and don't bother to unload it first - do the items left on ex-members still count against the party limit? Do the items, that Bolingar and other potential party members come with, count against the party limit even if the characters aren't recruited?